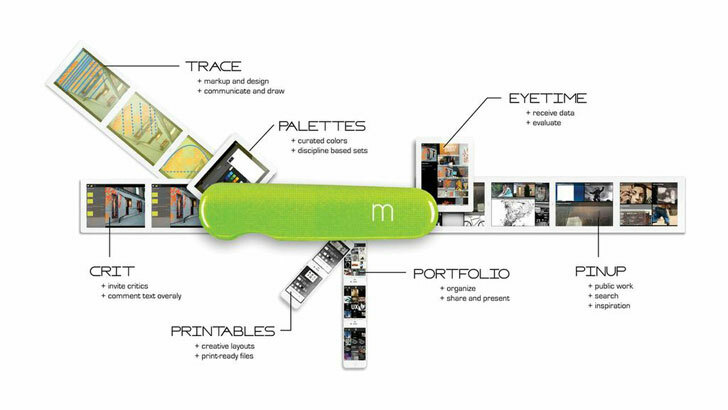 Just under a year ago, the brains over at the Morpholio Project released Morpholio, a mobile and web-based app that created a new platform for presentation, critique and collaboration. They then followed this up with Trace, a digital design tool that allows creatives to instantly draw on top of imported images or background templates and layer comments or ideas to generate intelligent sketches to be shared. Now they’re back again with Morpholio 2.0, a new suite of seven forward-thinking design tools. The app re-imagines the portfolio as a design utility, providing a means to share, discuss and get feedback on work from a global community of users. Morpholio’s cloud-based infrastructure focuses on ways to amplify design thinking. Drawing, commenting, sharing and analysis are built into and on top of the portfolio, creating the first completely integrated platform for designers. Check out the video of the new edition above, then download it for free at the App Store. Just under a year ago, the brains over at the Morpholio Project released Morpholio, a mobile and web-based app that created a new platform for presentation, critique and collaboration. They then followed this up with Trace, a digital design tool that allows creatives to instantly draw on top of imported images or background templates and layer comments or ideas to generate intelligent sketches to be shared. Now they're back again with Morpholio 2.0, a new suite of seven forward-thinking design tools. The app re-imagines the portfolio as a design utility, providing a means to share, discuss and get feedback on work from a global community of users.